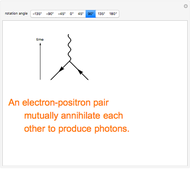 Feynman diagrams are symbolic representations for interactions among elementary particles. 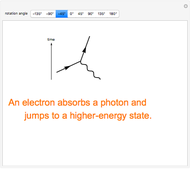 An interaction occurs when particle trajectories intersect at a vertex. The fundamental vertex in quantum electrodynamics involves a photon γ, represented by a wavy line, and two electrons e, entering and exiting the vertex, represented by solid lines. 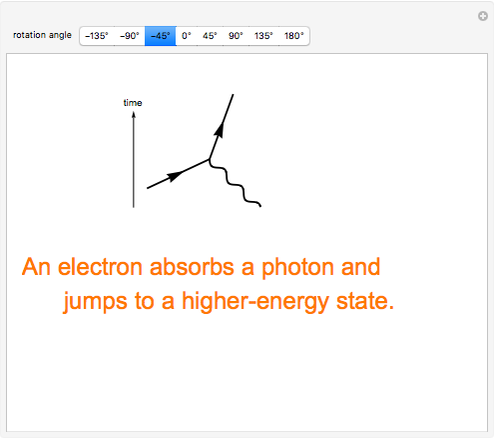 Arrows oriented in the positive-time direction identify the particles as negatively charged electrons . 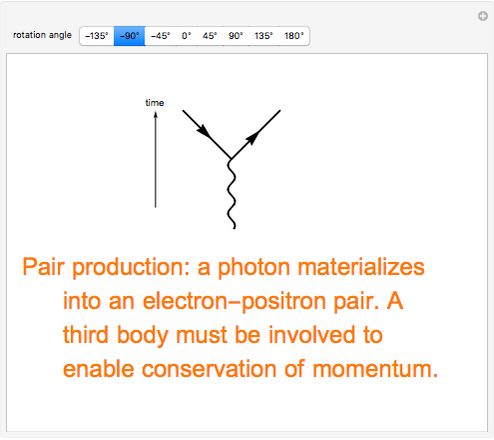 Arrows oriented in the negative-time directions represent antiparticles, positrons propagating forward in time. 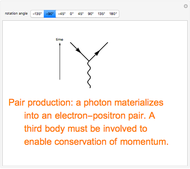 Each Feynman diagram can be interpreted as an integral which contributes to the quantum-mechanical amplitude of a process, via a set of Feynman rules. Remarkably, different orientations of a Feynman diagram can represent alternative sequences of spacetime events. You can rotate an vertex into eight different orientations, each describing a completely different physical process. 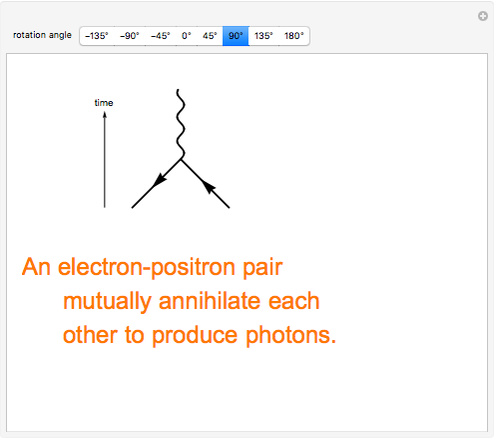 Included are electron-positron creations and annihilations, which contain the essence of Einstein's mass-energy relation . S. M. Blinder "Rotation of Feynman Diagrams around an Electron-Photon Vertex"